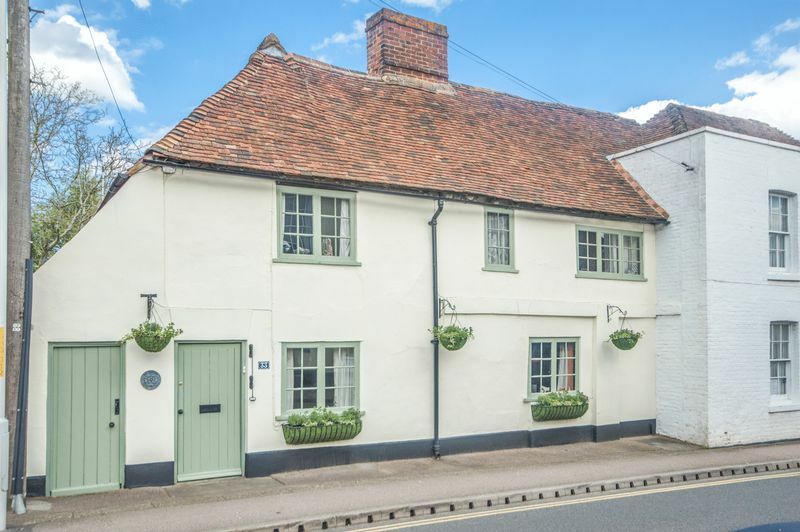 A delightful semi-detached, Grade ll listed, cottage offering beautifully presented and versatile accommodation with a wealth of charm and character. 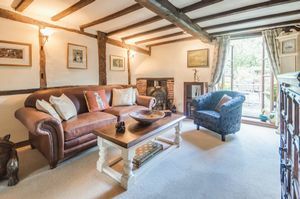 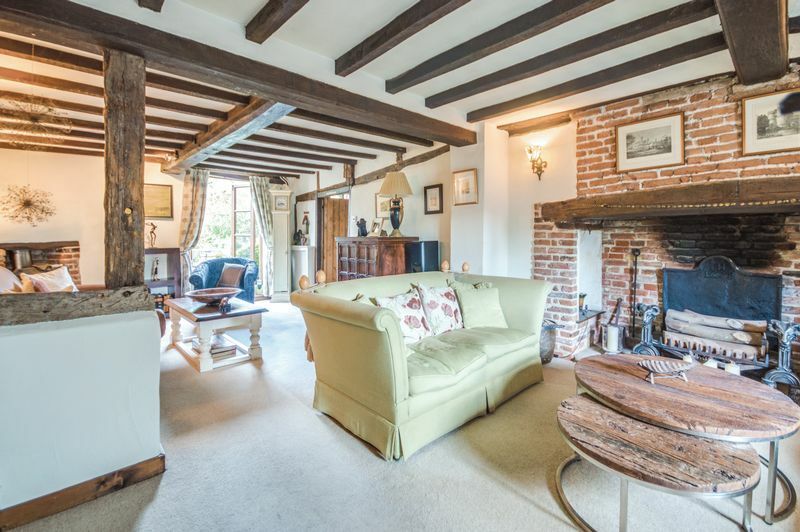 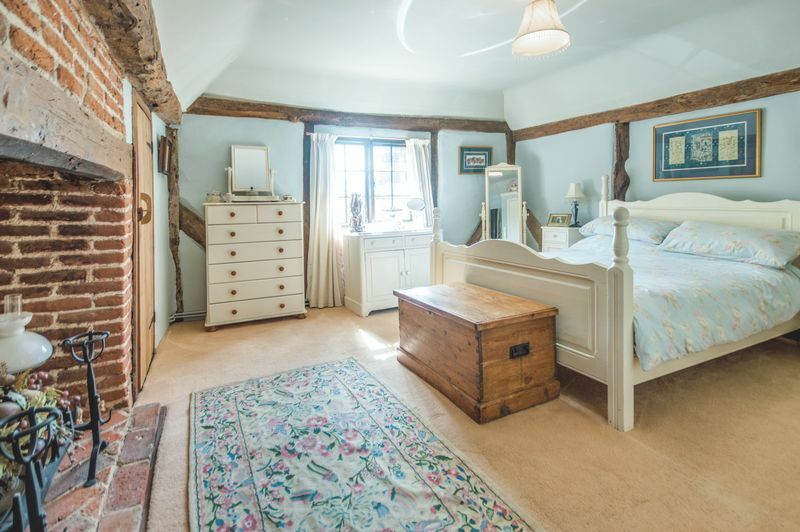 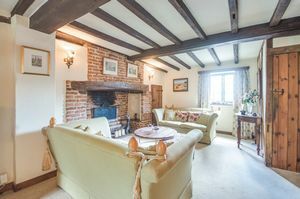 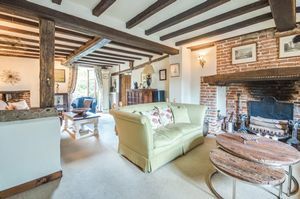 The accommodation includes three reception rooms, a living room to the front with handsome inglenook fireplace which adjoins the sitting room to the rear having a log burning stove and French doors which overlook and open onto the garden. 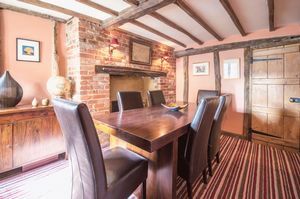 The dining room is to the front of the house and could also provide a fourth bedroom as required. 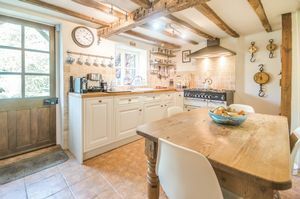 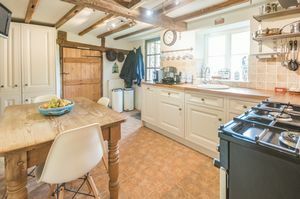 There is a most attractively and comprehensively fitted kitchen/breakfast room featuring solid wood worksurfaces and an impressive range style cooker. 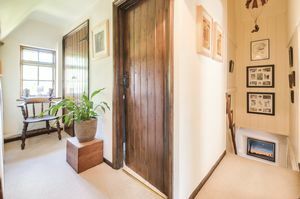 There is also a useful utility area to the side which could be adapted to have integral access to the house (subject to any necessary consents). 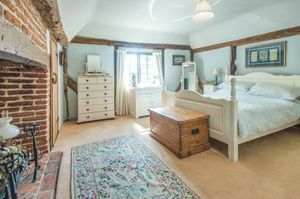 On the first floor are three comfortable double bedrooms, two of which have built-in wardrobes. 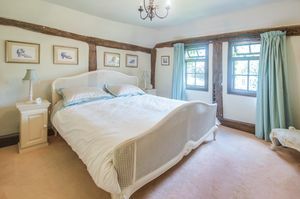 The master bedroom also has a walk-in wardrobe which has the potential to provide an ensuite facility (subject to any necessary consents). 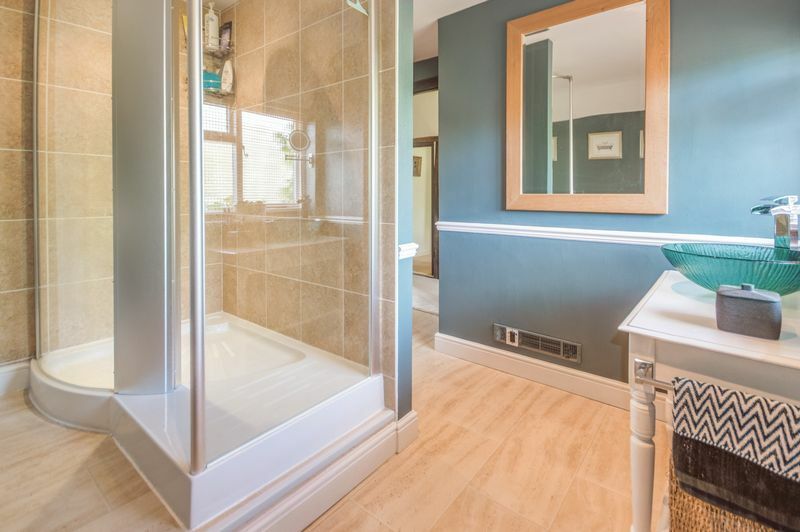 There is a most attractively fitted shower room with large walk-in shower, glass wash hand basin and w.c. 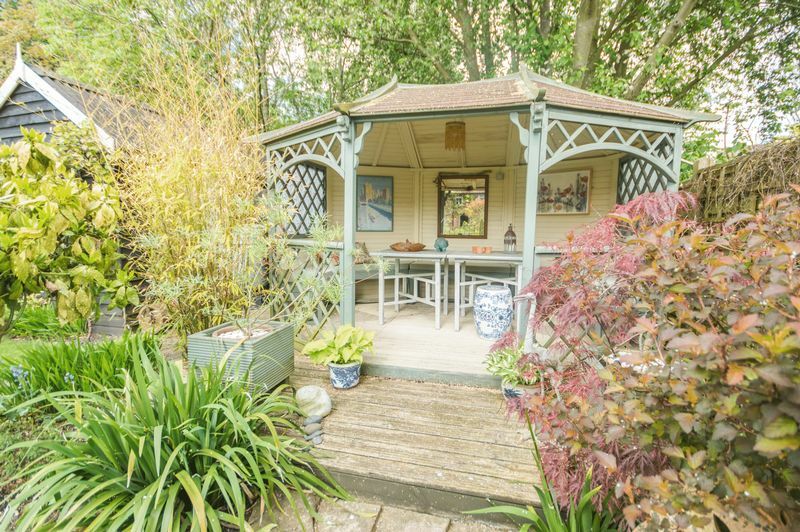 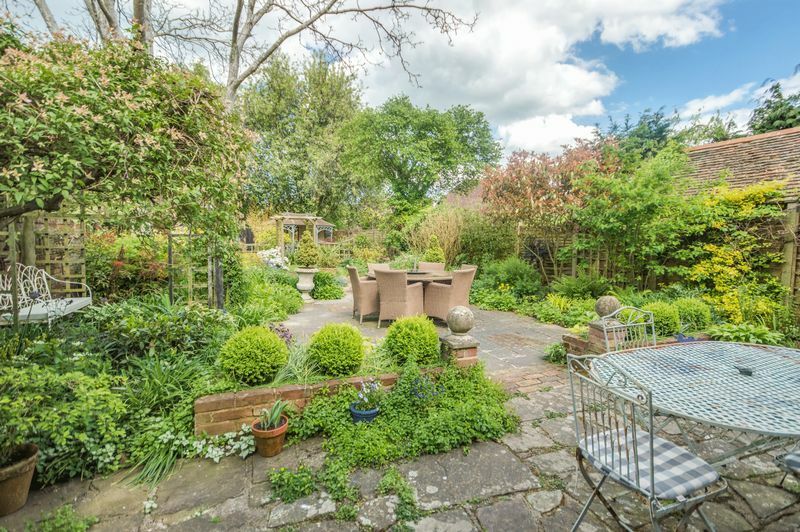 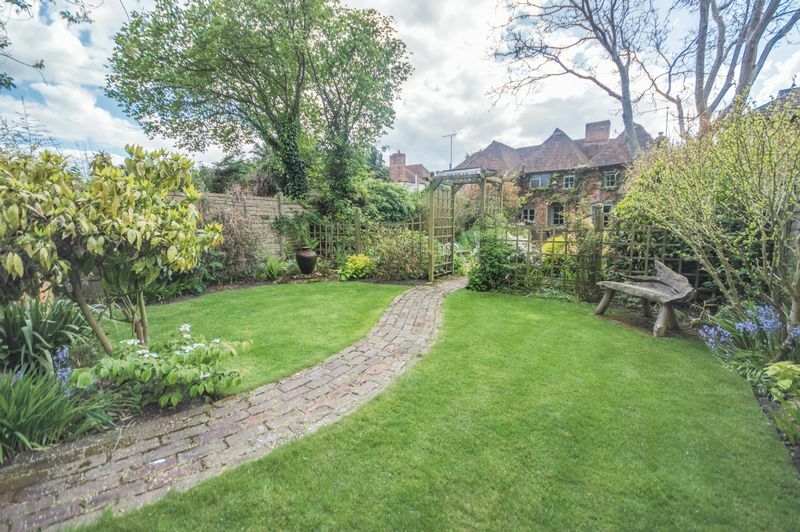 The property enjoys delightfully laid out and beautifully maintained gardens measuring approx. 90ft (27.41m) x 29ft (8.83m). 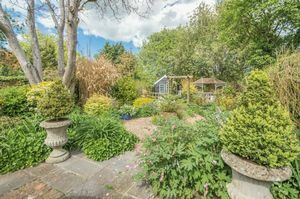 From the house are paved seating areas with mature borders stocked with a variety of flowering plants, ground covering plants and shrubbery. 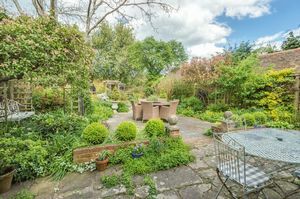 To the side is access to the utility area which has a further door giving pedestrian access to the front and pavement beyond. There is a log store and timber pergola with climbing plants. 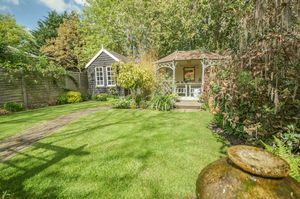 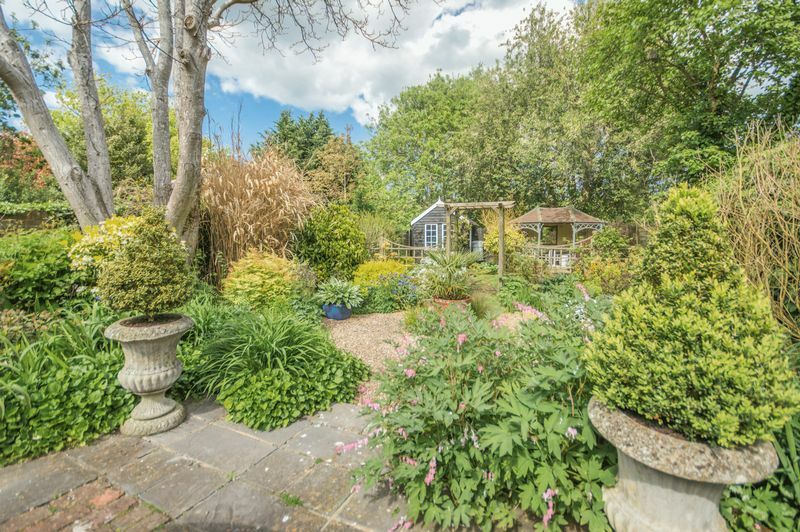 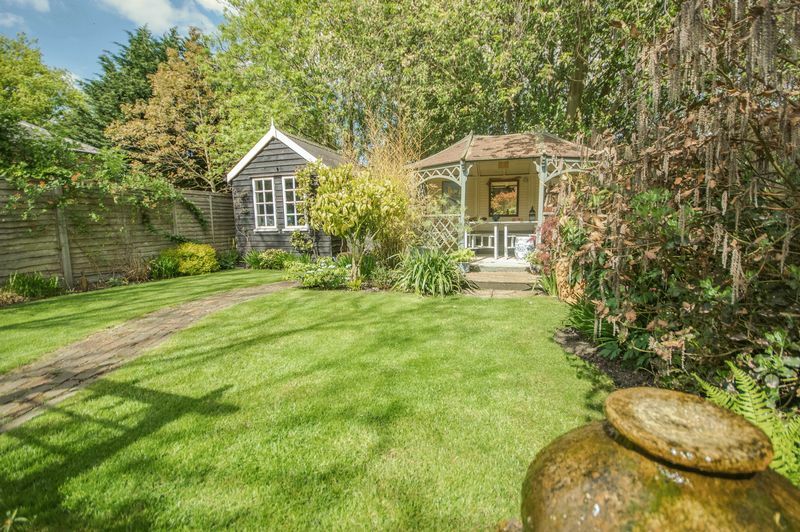 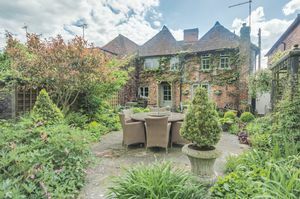 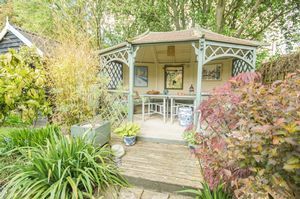 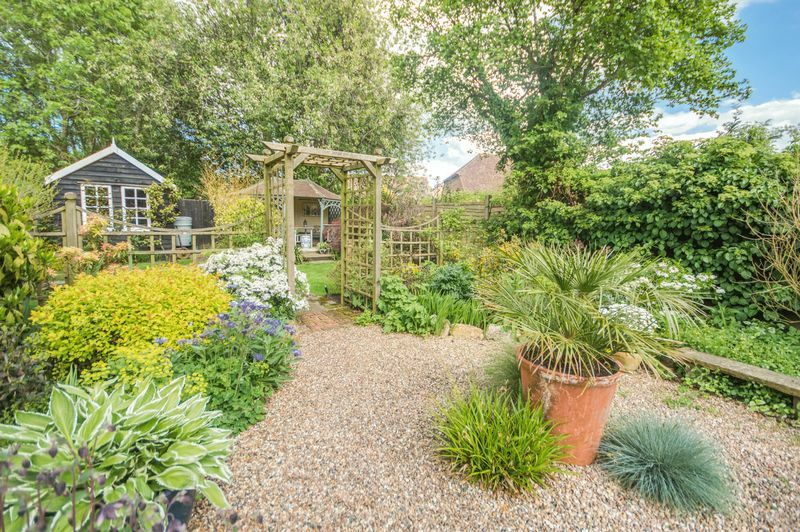 A gravelled area has further well-stocked borders from where a brick path leads through a timber arbour to a further area laid to lawn with mature borders and providing access to a most attractive open fronted summerhouse approx. 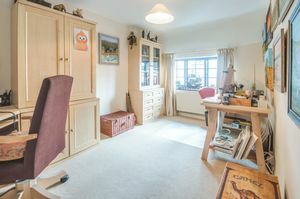 11ft 3 (3.43m) x 8ft2 (2.49m) and timber workshop approx. 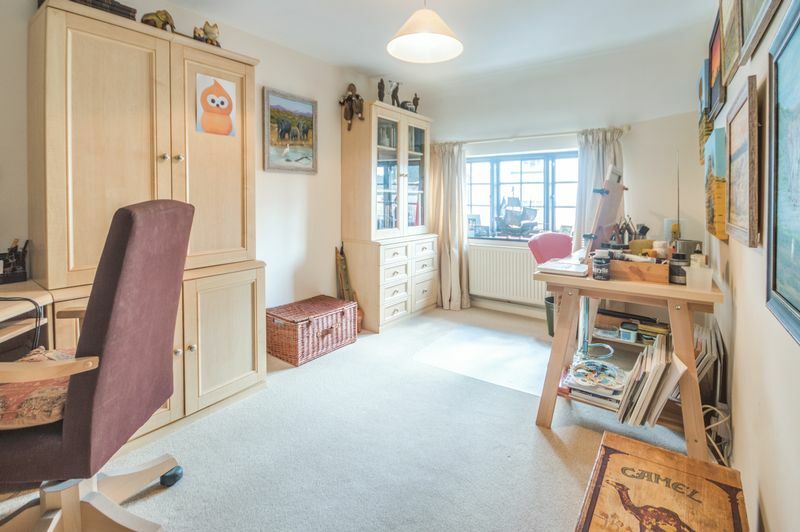 11ft8 (3.55m) x 7ft4 (2.23m) with double doors to side, window to front and power and lighting connected (untested). 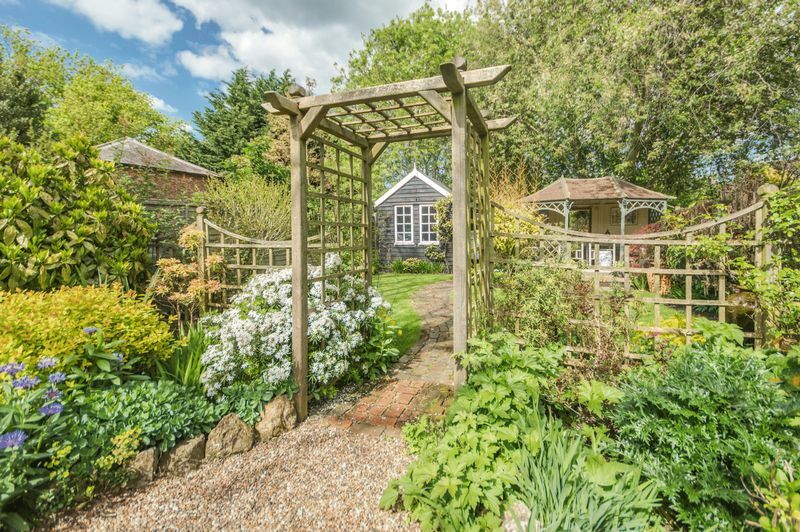 To the end of the garden is a screened storage area with further timber shed. 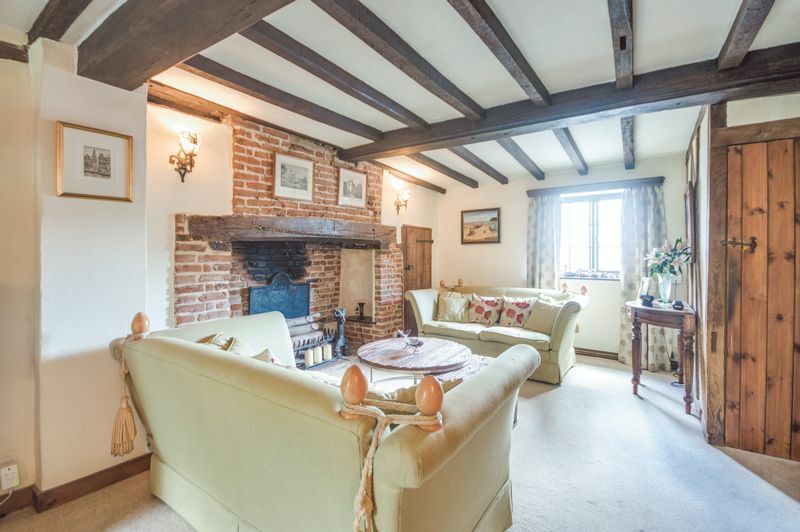 The property is set in the heart of the Village of Bridge convenient for the local amenities. 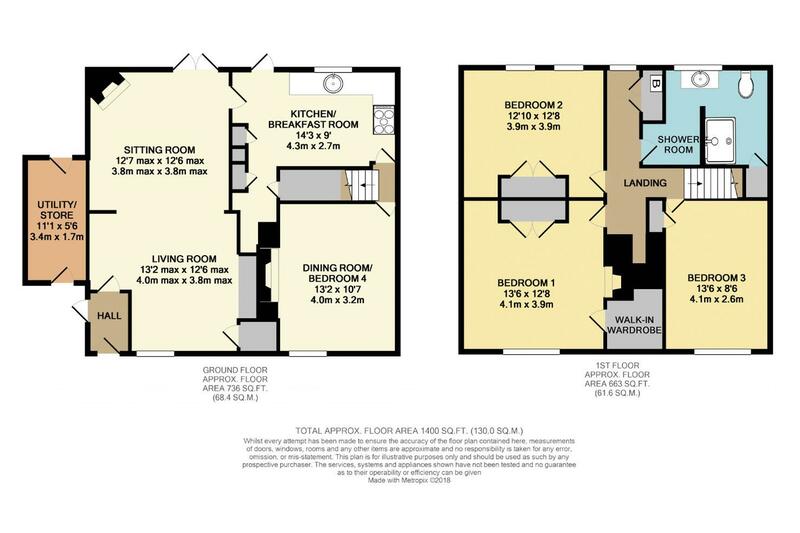 Bridge offers a comprehensive range of local amenities including mini-supermarket with post office, pharmacy, dentist and hairdressers. 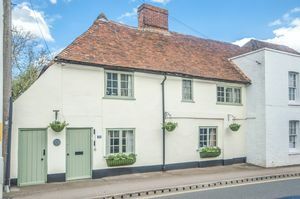 There are three public houses in the village, a modern health centre and popular primary school. 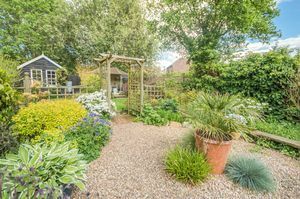 The surrounding countryside provides good walking, riding and cycling. 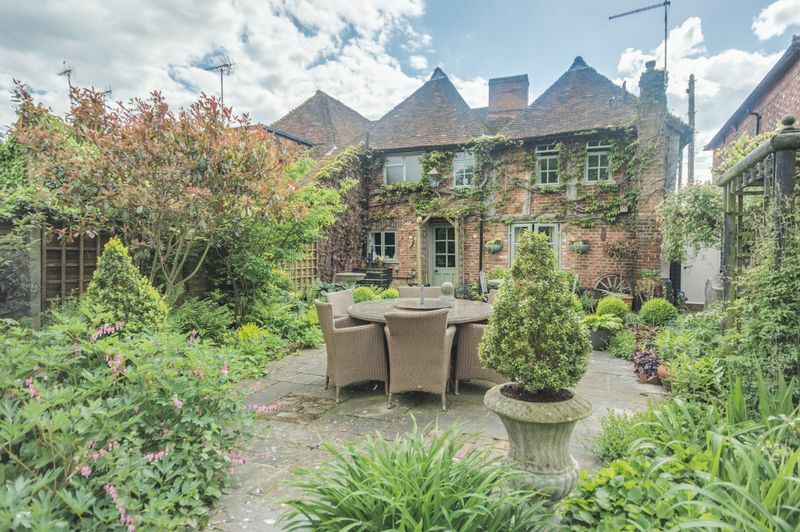 The Cathedral City of Canterbury is easily accessible with a comprehensive range of shopping, leisure and educational facilities plus High-Speed rail links to London St. Pancras.